The majority of e-commerce websites share the same goal and the same struggles. Many users are hesitant to purchase products they can’t touch, feel, or operate prior to purchasing. This makes selling products online tougher than selling in brick and mortar stores; the same obstacles may also apply to catalog purchases. Knowing these struggles, e-commerce site owners understand they must convert (sell a product) users the first time they visit their online stores, or they will lose many sales. There are many how-to articles on the Web that provide a foundation for optimizing your e-commerce site to increase conversions, but none of these tutorials offer a step-by-step guide to ensure your online store is sound from a search engine optimization (SEO) and technical perspective. Today, I’d like to give you a thorough understanding of search engine optimization for e-commerce stores and provide you with calls to action, product optimizations, and much more. Let’s get started. Utilizing your competitors is another great way to find optimization tips for your own website. It’s likely that your competitors have already done the legwork, and there is a lot you can learn by looking at their websites. For example, examining your competitors META tags, particularly their title and description tags, can give you an idea of which keywords they are targeting. Another way you can glean this information is by reviewing their keyword META tags. Although Google and most other search engines ignore the keyword tag, many webmasters and SEOs, including me, use this tag for organizational purposes. 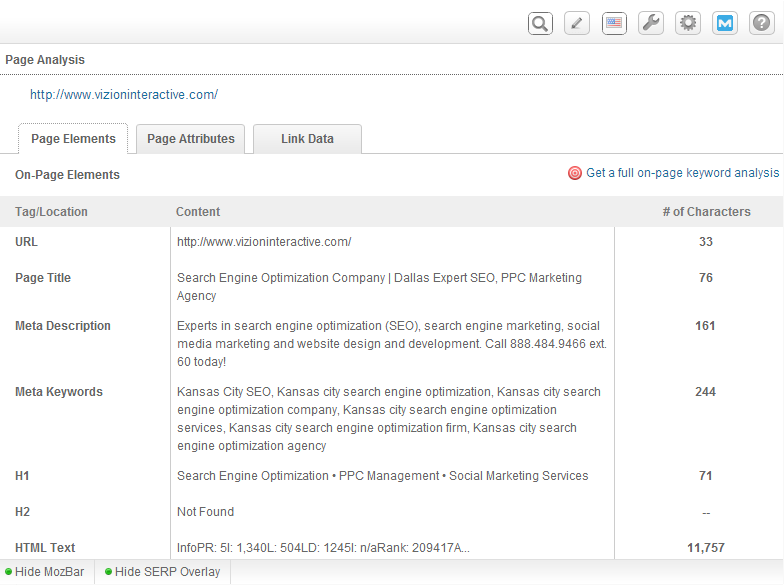 This notifies anyone that comes aboard to work on the site which keywords each page is targeting. There are many tools you can use to view the title and description tag of a site. The tool I like to use is the Moz browser extension. This tool allows you to view META data of any given site, and it’s free. Another great tool you can use to find which keywords your competitors are ranking for is SEMrush. Not only can you see where your competitors are ranking within an organic search, but you can also see which keywords your competitors are bidding on within Google Adwords. Having good site architecture is essential to ensuring potential customers find what they are looking for. Sound site architecture also provides search engines with a clear understanding of your site, products, and categories. Your site should be hierarchical with categories and subcategories that are also logical and easy to understand from a site visitor’s point of view. Using consistent naming conventions for your categories and subcategories is a must. For example, a phone shop’s hierarchy would be Cell Phones > Sprint > iPhones > iPhone5s. Utilize interlinking breadcrumbs, especially on product and category pages, to ensure users are always aware of where they are within your site. This provides users and search engines alike a path and an in-depth understanding of your products. Breadcrumb navigation should be added as an additional feature, but it should not replace the main navigation menus. For a more in-depth read on breadcrumb navigation, check this resource. Simply put, product pages are where you make your money as an e-commerce store. This is where the bulk of your time and budget should be focused. Your product pages should have great product descriptions, product images, and calls to action. Product descriptions describe your product to your target audience. Your product descriptions also show in the SERPs (Search Engine Results Page) if you neglect to add a unique description for that page; your product descriptions also show up when users share your products on social media websites and networks. If you just take the one image that the manufacturer suggests, you’re really losing out. 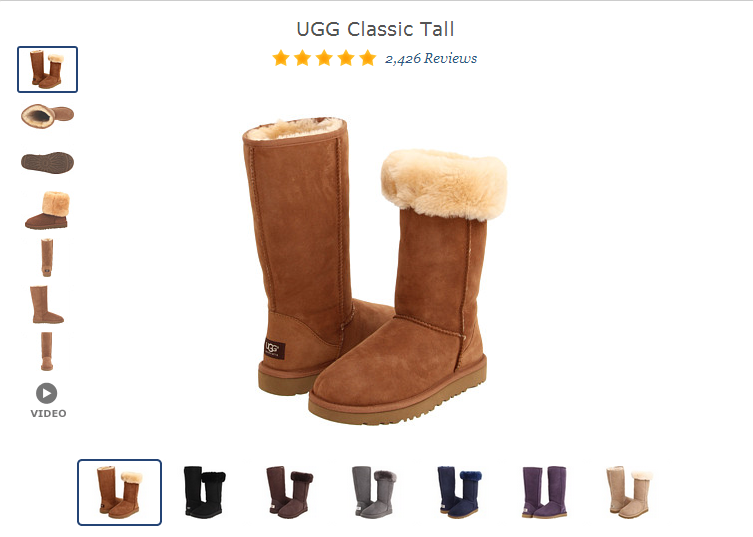 An online store that does well with product images is Zappos. Zappos uses multiple product images to ensure their potential customers are well informed about their products. Zappos has professional photography done for each of its shoe products. This practice ensures that each aspect of the shoe is captured within the product photos: top, side view, inside view, bottom view, etc. A call to action, or CTA, is a button, banner, text, or graphic that is meant to entice the user to click on it or take some other action. Having good calls to action will help increase conversions and sales by pushing potential customers into the purchase funnel. There are a few things to remember when designing effective calls to action. For your CTAs to work, they must first be seen. 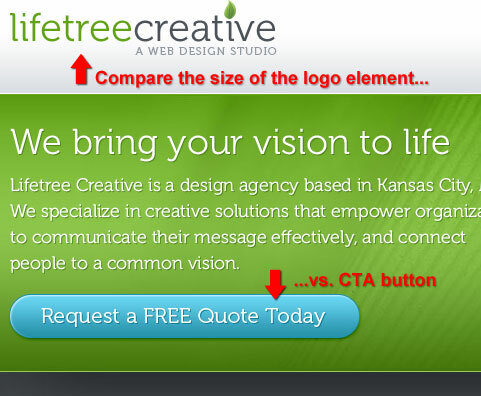 Your CTA should contrast with your website’s template. CTA colors should be bold, stand out from the rest of the page, and draw in the eyes of the viewer. Just telling your potential customers to view more won’t cut it. Your button text/CTA should utilize verbs that push for action. Use verbs such as “determine,” “act fast,” “experience,” and “be moved by.” By not including a verb in the CTA copy, you aren’t prompting readers to take action, which can hurt the click-through rate of your call to action and negatively influence conversions. People should know what the outcome will be after clicking on your CTA. Will they receive a discount on your products, a subscription to your newsletter, or product samples? Make certain the CTA unambiguously conveys what they’re getting for their click. If possible, after people click your CTA, they should arrive at a dedicated landing page, which should be the first step of the purchase funnel (if the CTA is for product purchase). You want to remove all hurdles between the point of clicking the CTA to the point of sale. CTA landing pages should be specific to the CTA. For example, a CTA is still a CTA if it points to a “contact us” page, but it won’t be as effective in driving leads and customers as a specific, focused landing page for a free SEO website audit or a free fabric sample. Instill confidence in your visitors by adding videos to your product page. Videos could be product information, commercials, how-to videos, or even testimonials. You can also publish these videos to video-hosting sites such as YouTube and Vimeo. DIY Videos that show people how to incorporate your product into their everyday lives can help potential customers visualize your product in their home, car, boat, etc. Reviews are another way to help instill trust and confidence in your potential customers. You can even leave the review management to agencies that specialize in product reviews. One agency that I like to use that does product reviews, consumer intelligence, and retailer and shopping comparison really well is Bazaarvoice. Also, keep in mind that bad reviews are not always a bad thing. People expect user-generated content (UGC) to actually be generated by real people. If you have 200 reviews and they are all 5 star, potential customers may feel a little uneasy because they will assume the “reviews” are either paid reviews or written by your company. 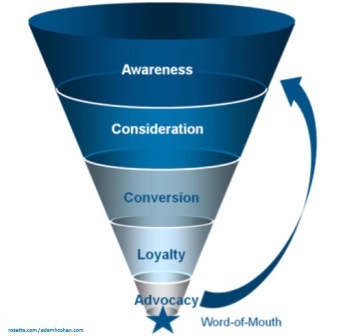 As per Wikipedia, the purchase or purchasing funnel is a consumer-focused marketing model that illustrates the theoretical customer journey toward the purchase of a product or service. There are four stages within the purchase funnel, which was developed by St. Elmo Lewis in 1898, and I’ve summarized them below. Awareness of your products or services can be accomplished by using many vehicles. Paid advertisements or paid placements are designed to create awareness and are billed on a CPM basis (cost per 1,000 views of your advertisement). You can also take advantage of these placements with remarketing/retargeting campaigns to target users who have visited your site. Here you want to target users who are actively expressing an interest in a product or service that you offer. 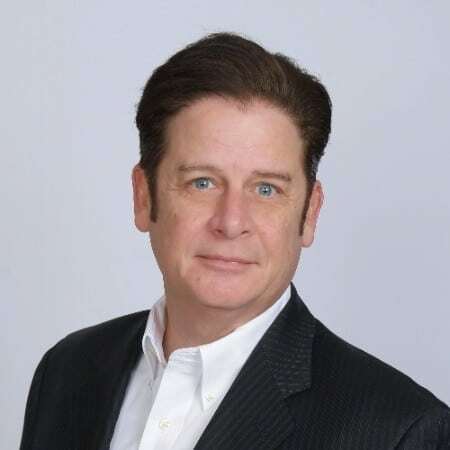 Utilize SEO/SEM strategies with a focus on broad keywords. 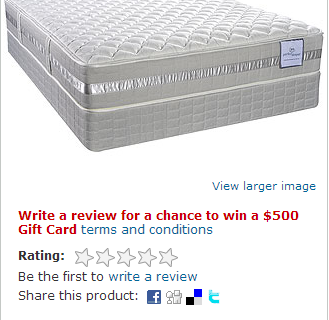 For example, your online store has sales of a number of name brand mattresses. At the interest stage, the people searching haven’t decided on a brand, so they may search using the keywords “mattresses” or “best mattress.” Ranking for these keywords will be high traffic drivers but will be low in conversions. Landing pages for these keywords should be informational but attempt to push the user into the next buying funnel stage. Desire is aspiring to a particular brand or product. Utilize SEO/SEM strategies with a focus on brand type keywords. People searching at this stage of the purchase funnel have a particular brand in mind and will search using the keywords “Sealy mattress” or “Serta mattress.” Ranking for these keywords will drive less traffic than the interest stage but will result in many more conversions. Landing pages for these keywords should be product pages, be optimized with CTAs, and push the user into the next stage of the purchase funnel. mentioned above in the product page optimization section and provide the best customer support. Incorporate live chat operators to communicate and help online shoppers on your site. Add social share buttons so users can share your products with their social network. These social share buttons can also be used after purchase. When customers complete their checkout, give them the option to share what they just purchased with their friends and family via their social networks. Utilizing each of the tips above will not only help your online store increase sales, conversion, revenue, and profit, but will also help you build a reputable brand for your products or services. Whether you are selling flat-screen TVs or batteries for flashlights, creating a sound website with calls to action and an optimized purchase funnel will net you more consistent and incremental revenue and will allow you to continue to scale and grow your business. Vizion can audit your current online store and show you where the gems and missed opportunities are. For a free audit, give us a call. We’re here to help grow your online store.